The business principles we bring to your project have shaped our results for nearly a decade of solar industry achievements. They empower us to fulfill your solar power energy goals. We were providing solar solutions before clean energy was a global mission. Before solar was the call of millions across the globe, our team was paving the way for this energy revolution by constructing profitable solar sites across Europe. Every day we seek out innovative ways to fulfill the vision of the emerging solar revolution by meeting the needs of our clients to generate clean and financially viable renewable energy solutions. 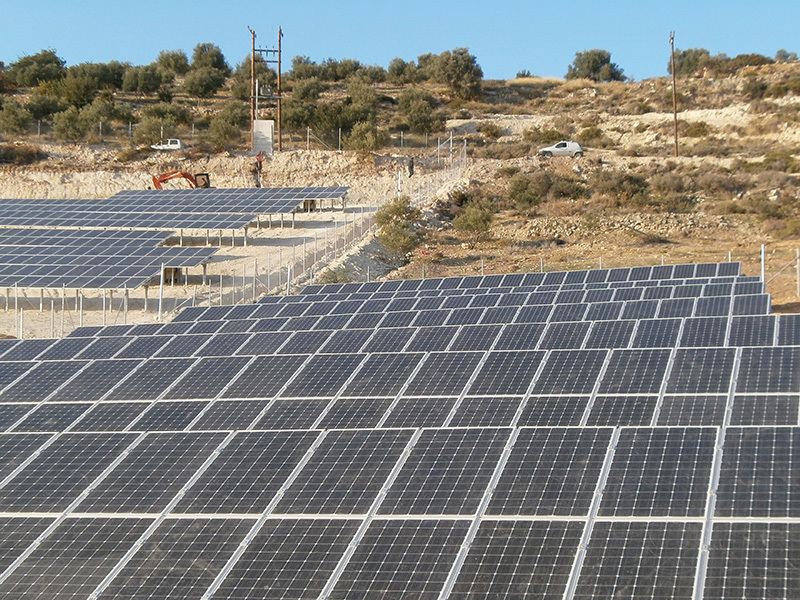 Financial discipline drives the development of every solar project. At the core of our approach to project development is financial discipline. Our founder and the majority of our management officers moved from auditing and investment sectors into the solar industry, bringing the strenuous financial rigors these industries require to deliver profoundly solid solar energy solutions. We are a global solar project developer, investor and operator with a growing pipeline of development projects and operating assets. The professionalism in which our team has approached solar energy solutions has resulted in over 100 projects with a total capital cost of $1 billion successfully executed in our fast moving and often challenging industry landscape. All stakeholders in our solar projects prosper from them. Over the course of over 100 projects worldwide, our team has consistently worked to ensure the interests of all stakeholders are upheld. Participants involved in solar power generation are wide ranging and their interests complex. Those who make the solar revolution a reality include investors and financial entities, energy and system purchasers including businesses, utilities and public sector organizations, policy and regulatory agents and the ratepayers and communities in regions across the globe. The financial and energy generation structures we employ in our projects ensure all stakeholders prosper from them even during challenging market conditions. We empower cities, states, countries, utilities, private businesses and public sector organizations to go solar for the first time. We are fiercely committed to empowering cities, states, countries, utilities, private businesses and public sector organizations to go solar who have not done so before. Our tenacious commitment to clean energy solutions that meet the needs of new solar customers has empowered the construction of over 1 GW of solar in Europe, the United States and now Latin America. Our solar projects positively impact the communities in which they exist. The Origis Energy team works hard to implement the objectives of the community organizations and leaders where we build solar facilities. We understand solar brings jobs and clean energy to power homes, businesses and public sector initiatives and we wholeheartedly work to applaud these accomplishments made possible by local leadership. The right solar project is structured for you. A custom solution to your unique energy needs can be achieved with a competitive solar project. Our team is dedicated to going the extra mile to achieve your unique solar project. We have carefully honed deep relationships with top tier solar equipment suppliers, vendors and financial leaders to empower us to deliver innovative solutions at competitive cost structures at the highest quality possible. You don’t have to sacrifice your objectives to a cookie cutter approach in order to achieve desirable energy cost metrics.